There are plenty of weight loss techniques in the market, but the percentage of the ones that work is quite less. As far as gyms are concerned, cardio and everyday exercise can help you lose weight, but what if we told you that you could do it every day without any fret? Yes, we have found a way that lets you beat the flab in no time. If you have been contemplating on joining gym or Zumba, you are on the right track already! Let’s talk about recumbent bikes that are comfortable to ride. 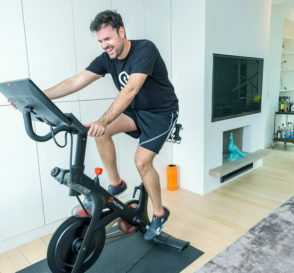 The bike also is a way to boost the calorie burning potential of your body. The more you pedal, the higher are your chances of losing weight sooner with it will increase. Before you go ahead and start using a recumbent bike for real, it is advised that you speak to a professional trainer as there are many factors dependent on riding this bike. From health issues to your diet regime, everything needs to be in place. Here’s how you can lose weight with recumbent bikes. Getting your body warmed up before you start cycling will help you avoid any sort of injury. Say goodbye to sore muscles as you start using recumbent bikes. Take about 10 minutes extra and start warming up. Follow basic exercises like jogging or marching as this will prep your body to do an intense one-hour workout on the bike. These exercises are worthwhile because they help in getting your blood and oxygen flowing. Recumbent bikes are an excellent alternative to most of the other methods out there. The calories burnt by using this cardio equipment is entirely dependent on how hard you work on it. This bike is known to take very less energy and give out more for your body. For example, if someone weighs 150 pounds, the person can lose about 7 calories in a minute only by pedaling. Higher the intensity, higher are the chances of losing weight. The trick one must follow while using a recumbent bike. For a better pace, wear the right outfit that feels comfortable. Riding recumbent bikes with proper resistance can help you tone muscles and not just trim, but practicing this method throughout religiously. The recumbent bikes work well for leg exercise, so if you are hoping to have toned legs, you are halfway through the game. Give your legs defined appearance by saying yes to this bike type. The more you bend, the more it is helpful for your legs, knees, and thighs. As you rotate your ankles and push the pedals, it will help you feel relieved. Not just thighs anymore, but recumbent bikes will benefit your hip region too. How, you ask? This bike helps in toning muscles which include hip flexors and gluteus. Increasing the intensity and resistance power, and doing it regularly for shorter intervals means that the muscles are getting toned. Everyone likes to a have a toned body so using a recumbent bike will earn you better results. Recumbent bikes aren’t made for the upper body, but you still have an option as there’s movement involved. There’s a sturdy back offered by this bike which means you have the entire support and a chance to pedal. Also, try out upper body exercises. You can include dumbbells that will help you lift the weight on the sides of the bike as this has an added benefit. It is important that while you exercise on your recumbent bike, make sure that everything is well adjusted. You must check the seat and the backrest as well. As you begin, hold the handlebar right. Push well and increase the intensity with time. Make sure you are comfortable, and the cycling motion is steady, so you don’t fall and hurt yourself. Exercising for long on recumbent bikes is also not recommended as it can get exhaustive. Do not invest more than 90 minutes for it. You should cut it down to 30 minutes of bike exercise, and rest to cardiovascular exercise. You can vary the resistance power and speed when you feel heavy. This will help you cool down. Recumbent bikes are now facing a huge demand as people have found an escape from heavy workouts, and this one offers all the advantages. Recumbent bikes are very comforting, and they grant relaxing sensation as well. Since we live in a digital world where our favorite pastime is Netflix, do double duty while being on your recumbent bike. This technique is sure to distract you from the tiredness. It’s an advantage for people who are obese. Using recumbent bikes will help you lose calories faster than other means of fat burning exercises. Recumbent bikes are the most beneficial option by far as they yield many advantages, not just for seniors, but for adults as well. For its price, this bike is absolutely worth every penny. So go ahead and splurge on it and have a body you once dreamt of.